Scenery of trade harbour and freighter in water. Cargo dock of stock quay. 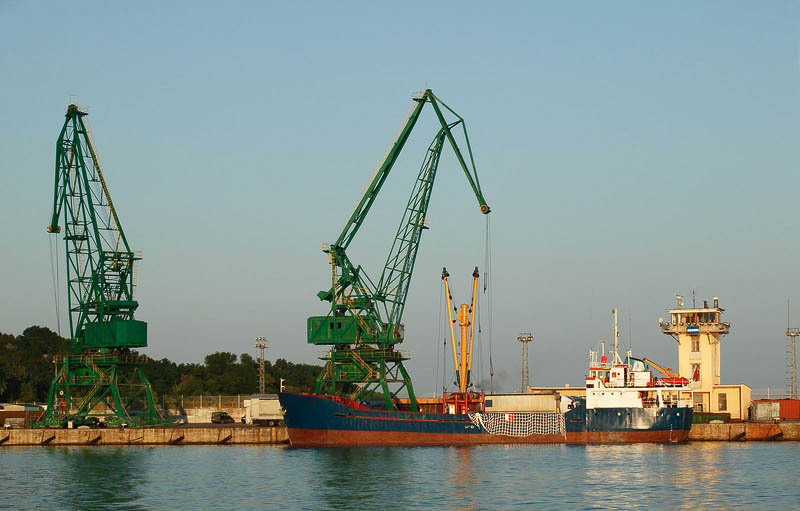 Industrial port and vessel in sea.